Blog - What is Kala Sarpa Dosha ? In the Birth chart, if all planets are located in the 180 degrees between Rahu and Ketu, then Astrologers say it is Kala Sarpha Dosha. Parashara sytem of Horoscope, the highest authority on Horoscope does not recognize Kala Sarpa Dosha. This seems to be work of unscrupulous Astrologers to scare off people. 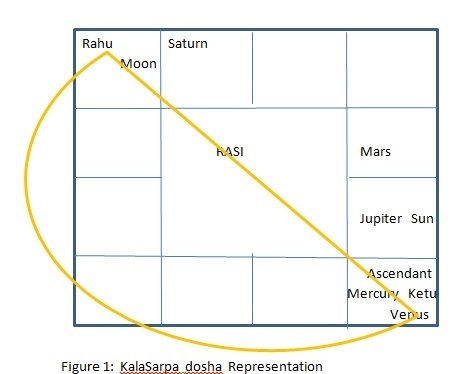 A representative horoscope (Figure 1) of Kala Sarpa dosha is shown herewith. The area denoted by semi-circle signifies 180 degrees of the ecliptic where no planets are present. On the other side of the semi-circle, we can see that all planets are hemmed between Rahu and Ketu. 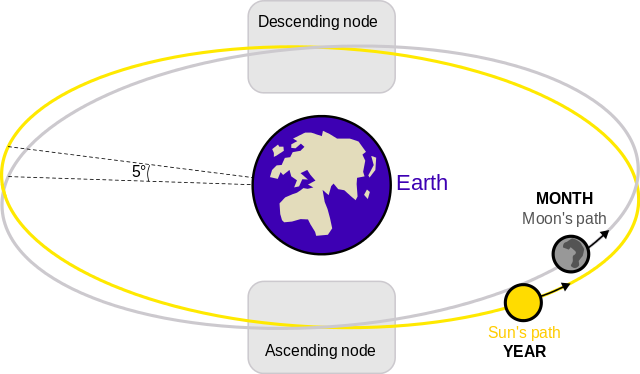 To recollect, each house (Rasi) represents 30 degrees of the ecliptic. Some astrologers also say that Rahu and Ketu should not be in conjunction (together with) with any other planet, although the representation here shows Rahu in conjunction with Moon and Ketu with Mars and Venus. The bad effects of Kala Sarpa are supposed to be extremely dangerous. All these are not specified in any of the texts from Parashara. However, Sarpa dohsa is different and is often attributed to curse from a Snake. If God exists, why is there so much of suffering and so many miseries in the world ?